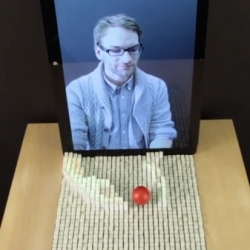 MIT's tangible media lab unveil the inFORM, a surface that three-dimensionally changes shape, so users can interact with digital information in a tangible way. inFORM can also interact with the physical world around it. Find out more about inFOrm and the Tangible Media Lab.